Sprinkled throughout Tokyo but mainly located near the Marunouchi area, antenna shops are themed-stores that sell specialties from all around Japan. The Ginza Washita Shop is Tokyo's Okinawa antenna shop and offers a huge variety of Okinawan goods, from beauty products to CDs to, of course, beer. Thanks to the phenomenon known as the antenna shop, you can take a trip far away without ever leaving Tokyo. The recent cold weather and subsequent snow in Tokyo has everyone wishing they could take a long vacation to a tropical island. 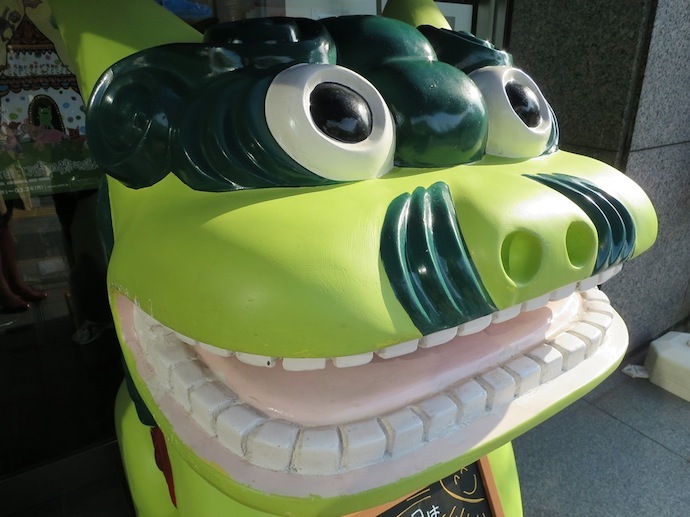 Shisa guardian lions, whale shark stuffed animals, and snake-infused alcohol are just some of the reasons why the Ginza Washita Shop is my favorite antenna shop. 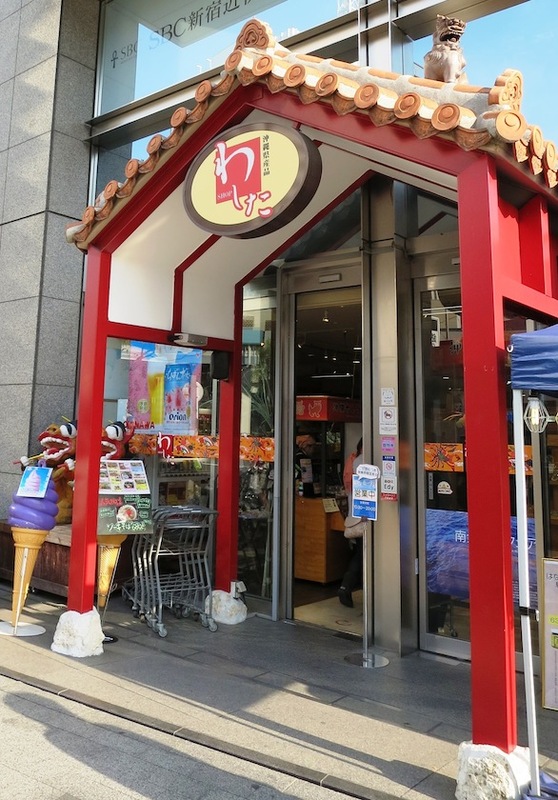 Sprinkled throughout Tokyo but mainly located near the Marunouchi area, antenna shops are themed-stores that sell specialties from all around Japan. The Ginza Washita Shop is Tokyo’s Okinawa antenna shop and offers a huge variety of Okinawan goods, from beauty products to CDs to, of course, beer. Not to mention that Washita Shop has plenty of Okinawan food. My personal recommendations are the sata andagi (round Okinawan doughnuts) and the many amazing ice-creams. The brown sugar ice-cream is excellent, and I am trying to decide whether I should get dragonfruit or purple yam flavor next. If you don’t have much of a sweet tooth, you try Okinawan soba, or a glass of Okinawa’s famous Orion Beer at the small restaurant in the back of the shop. Alternatively, you could buy some umi budo (sea grapes) or goya (bitter melon) to try at home. If you are lucky, the shop attendants may be handing out free samples of Okinawan specialties in the shop. Mid-afternoons on the weekend seem to be one of the busier times but that means that the free sample booths are more likely to be up. When I first went to the Okinawa antenna shop, I thoroughly scoured the main floor and made sure to buy some guava juice. However, I didn’t realize that the shop also had a basement. The ground level floor has mostly food and beauty products while the basement floor has shirts, books, jewelry, and alcohol. Some of the Awamori (extremely alcoholic Okinawan beverage) downstairs may set you back a few ten-thousand yen so be sure to go by the register. Next to the basement register is a box of completely free Okinawan posters and calendars. A free poster and 20 thousand yen bottle of alcohol evens out, right? For those wishing for warm breezes, the Okinawa antenna shop Ginza Washita might put you in a sunnier mood, even if you can’t take the vacation days to actually go to Okinawa. Be warned, though: the Ginza’s Okinawa shop may just make you want to hop the next plane south. Spends weekends aimlessly wandering Tokyo. 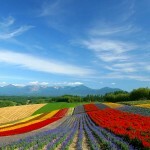 Famous for it's winter weather, there is so much more to Hokkaido that is waiting to be discovered. 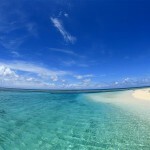 Today is Ocean Day in Japan and in honor of this holiday here are a couple of fun beach vacation spots in Japan. 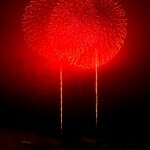 The Kamakura Fireworks festival is a stunning display of pyrotechnics! Make sure to check it out on your next visit to Japan.